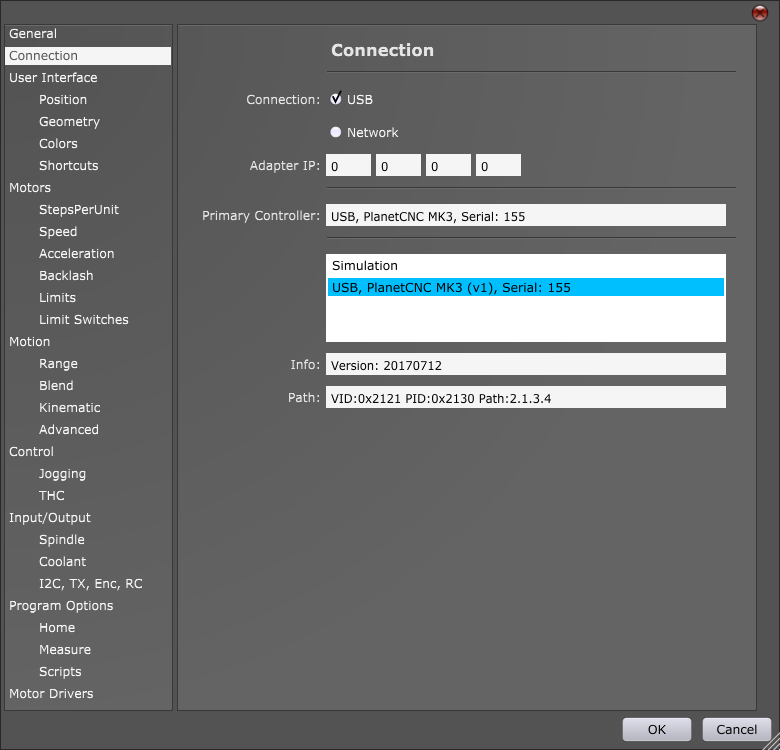 To update your PlanetCNC Mk3 series controller firmware with PlanetCNC TNG software make sure that your PlanetCNC USB driver is updated to latest version and that PlanetCNC controller firmware is updated with latest version of CNC USB controller software. Close settings by clicking OK. Controller is now updated to latest PlanetCNC TNG firmware version.